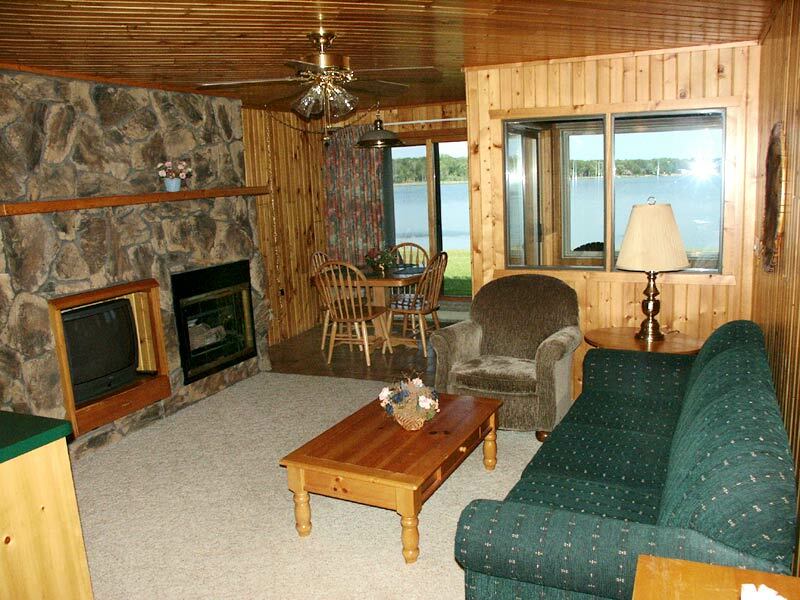 Located on the shores of beautiful Pelican Lake, Point Place indulges your desire to be pampered in vacation accommodations. 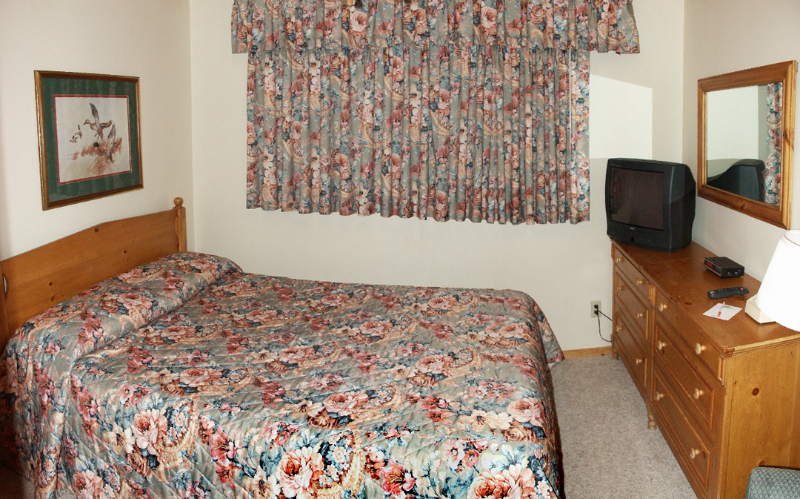 The pine-log interior imparts a feeling of the rustic north, while the modern amenities afford you a truly relaxing experience. Point Place is conveniently connected via walkway to the four-season Breezy Center indoor pool and recreational complex. 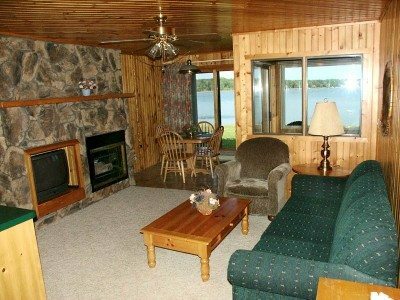 These two-bedroom units are furnished with two queen beds and a hide-a-bed and is equipped with a private patio or deck, gas fireplace, two baths, full appliances in the kitchen, TV and a beautiful lakeside view with shared boat docks.